I read many quotes by this genius when I was doing research for Artania II: The Kidnapped Smile. But this one really spoke to me. I believe, like da Vinci, that our artistic expression is eternal. It never ages or wrinkles or swells with arthritic pain. When we are creating, we are as free as toddlers running over soft grass or swans taking to flight. Our souls soar, touch the blue of sky and the green of meadow. Our hands become clouds floating in space and our feet dandelions on the wind. We are beauty and expression. Sharing the hearts of others. 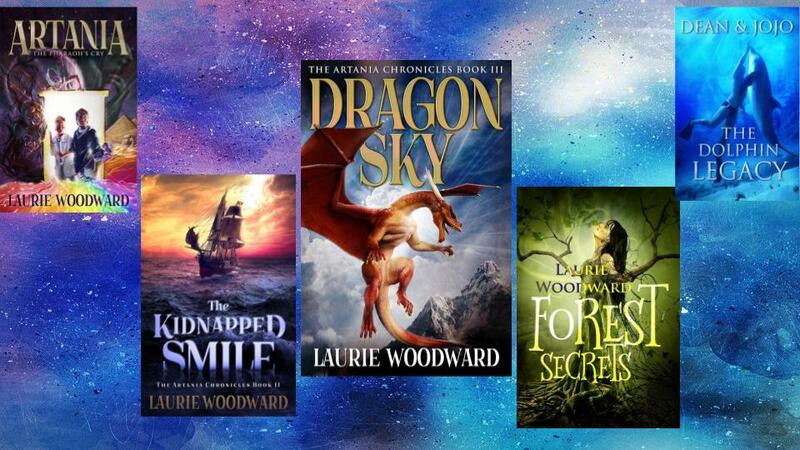 Laurie Woodward is the author of The Pharaoh’s Cry, Kidnapped Smile, and Dragon Sky from the fantasy series The Artania Chronicles, as well as the middle-grade Forest Secrets. She co-wrote Dean and JoJo: The Dolphin Legacy and was a collaborator on the popular anti-bullying DVD Resolutions. Bullied as a child, Laurie is now an award-winning peace consultant, poet, and blogger who helps teach children how to avoid arguments, stop bullying, and maintain healthy friendships. She writes on the Central Coast of California.